Bristlecone offers a full range of indoor shooting and safety training classes, and one of our most popular is our Women’s Personal Safety Seminars. If you want to increase your confidence and situational awareness, then these non-firearms defensive tactics classes are for you! They are designed to meet women’s specific personal safety needs in the streets, the workplace, and at home. In addition to teaching personal safety tactics, these seminars serve to empower women through knowledge of the emotional and psychological processes that take place during a confrontation. These classes cover awareness and avoidance of danger and confrontation, verbal de-escalation during a confrontation, fear management and proper mindset during a confrontation, and simple, intuitive hand-to-hand tactics to protect yourself when your safety is threatened. Saturday, Sept. 9th, 9 a.m. to 6 p.m., cost $175: Women’s Personal Protection — This eight-hour, introductory class is geared for beginners and is our most popular. It focuses on personal safety tactics and skills, and incorporates role-playing with realistic scenarios to help you feel confident with basic hand-to-hand defensives skills that can help you in any setting you might face. Friday, Sept. 8th, 4 p.m. to 8 p.m., cost $100: Personal Safety Follow-up Class — This course is for those who’ve already taken the eight-hour Women’s Personal Protection class at Bristlecone. It serves as a refresher to brush up on your skills. The class is structured in a scenario format to reinforce your training, build upon what you have learned already, and allows you to practice and make sure that you can recall information and defensive skills when you need them. 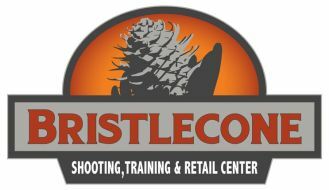 To learn more about Bristlecone’s Women’s Safety Seminars or to register, visit https://bristleconeshooting.com or call 303-985-0989.